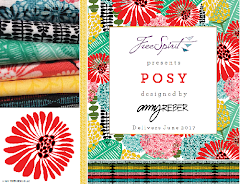 FreeSpirit Fabric: Free Quilt Patterns! 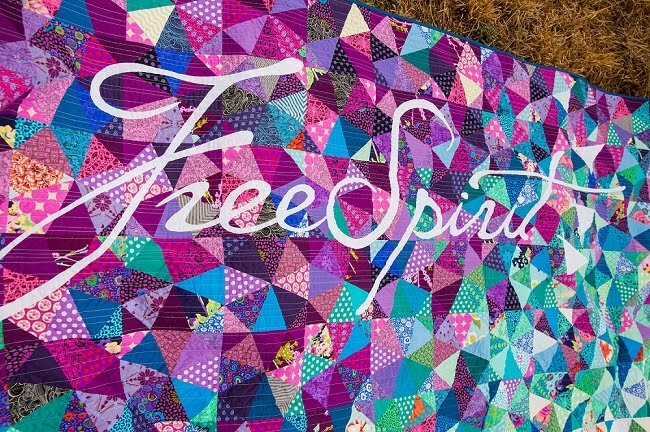 We have recently been informed that many do not know about the free quilt patterns that freespiritfabric.com offers. For most collections we have a quilt made and then post the picture along with the directions to assemble the quilt accessible on our website. So be sure to check out all of the quilts so you can find the perfect one you would like to make! 'Far Out Quilt' created by Cheryl Adam with fabric from the Sugar Snap collection by Melissa Averinos. Click here for full pattern download! 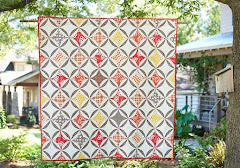 'Prairie Gothic Quilt' created by Cheryl Adam with fabric from the Prairie Gothic collection by Jane Sassaman. 'Everything's Coming Up Roses Quilt' created by Cheryl Adam with fabric from Roses collection by Donna Dewberry. So many patterns. I need to share this site with my quilt guild. Any future plans for a book of Free Spirit patterns? I know this is free, but a book would be so hands on. Hello, the directions on Prairie Gothic are very puzzling. Have there been other questions on them? The 2-75/8 blocks seem to need to be diagonally cut for the corners, not 73/8, Also the 15" blocks cut 2 x diagonally would yield 20 setting squares, not 10. Many other questions. Thanks. Hey there, I contacted the lady that wrote the Prairie Gothic quilt directions and she did have a few mistakes on the quilt directions. I'm so sorry about this and we are fixing them now, so hopefully by next week they will be posted with the correct directions. Thank you for letting us know! I love your fabrics and designers! WHY HAVE YOU MADE WEBSITE SO DIFFICULT TO NEGOTIATE? IT WAS EASY TO FIND FREE QUILT PATTERNS BEFORE BUT NOW IT'S A HASSLE. I got a pattern from the internet for a double wedding ring. In a move I have lost the melon ans other piece patterns. have all my ring blocks finished. I am hoping you are the company I got them from. Do you still have this pattern? I got a double wedding ring i hope from your site. am finished making rings but cannot find melon and other template is this pattern still available?